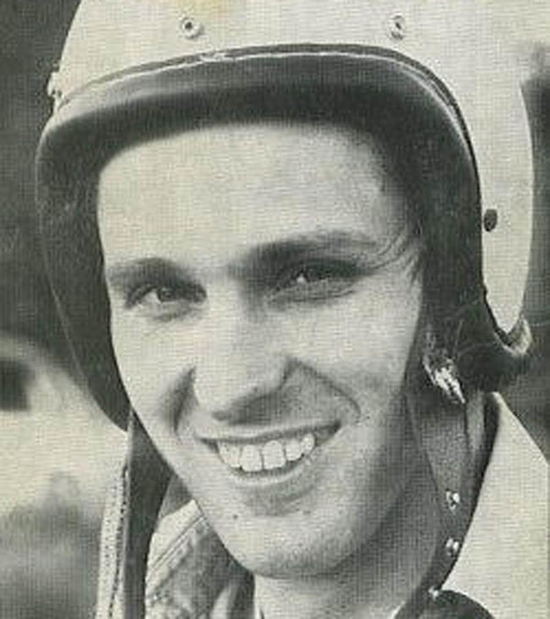 Mineral Wells, W.Va. (April 5, 1964) - Tom Dill of Erie, Penn., rode the last one and a half lap on a flat tire in his 1964 Ford to win, unofficially, the first running of the Americana 300 Sunday at West Virginia International Speedway. 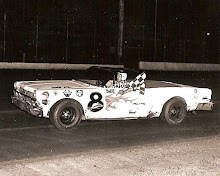 Dill, driving his first race this season, forged into the lead on the 219th lap as Virgil Barbee pitted his 1963 Pontiac. 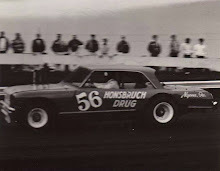 Barbee had moved out front on the 154th lap when front-running Andy Hampton's 1964 Pontiac wouldn't fire up after a pit stop. Once in the lead, Dill moved his Ford out to a comfortable margin over Barbee, retained first by making a quick 22-second stop to take on gas and was breezing along to sure victory when a tire blew. He had to slow his car considerably from the pace of about 62.5 miles-per-hour around the three-quarter-mile oval and limped home ahead of Barbee by one and one-half seconds. His winning average speed was 57.50 miles per hour, and he collected $1,250 for the win. Only 16 of a starting field of 37 cars were running at the finish. Most of the Auto Racing Club of America's big-name drivers were shackled by some kind of trouble throughout the race witnessed by an estimated 7,000 fans. 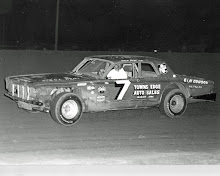 Jim Cushman, who started on the pole in his 1964 Plymouth after turning in top qualifying speed of 65.20 for the race, paced the field for about 30 laps before Hampton nosed his Pontiac ahead. Jack Purcell charged into first in a 1964 Ford but banged into the retaining wall and gave Hampton room to pass. Hampton’s car was running good until his pit stop. It required the pushing hands of 10 mechanics to get his Pontiac re-fired again. 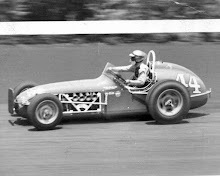 Earl Balmer, who was expected to set a fast pace in his 1964 Plymouth never got the car in the race. 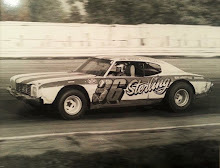 It blew a piston in practice, but the hard-charging driver got a ride when teammate Ramo Stott offered his Plymouth to Balmer, who is in the running for the ARCA point’s championship. Despite an early pit stop, Balmer had the car turning the fastest laps around the speedway. He dropped out of contention with a series of fender-benders which resulted in blown tires. Nelson Stacy, who’s 1964 Ford arrived too late for practice Saturday, found his car wasn't geared right for the course. A blown engine let his watch most of the race. Other top drivers such as Jack Bowsher and Iggy Katona spent most of the afternoon in and out of the pits. Dill, who started in the 15th position, said he ran until he was low on fuel before making his pit stop. He explained that he was sure no tire change would be needed. He said he didn't hit the wall but that the tire wore through on the backstretch where he could regain control of the car without losing too much time. Musgrave, the third-place finisher, lodged a protest after the race. The dispute arose when the scorer assigned to his car quit on the 185th lap. Musgrave claimed victory.